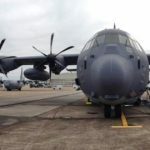 Canadian Commercial Corp. has secured a potential six-year, $147 million contract to provide landing gear remanufacturing support for the U.S. Air Force’s E-3, KC-135 and C-130 aircraft. The contractor will perform contract work in the Canadian city of Longueuil, Quebec, through Jan. 1, 2021, the Defense Department said Monday. CCC serves as an international procurement and contracting agency for the Canadian government and works to link DoD and NASA to Canadian suppliers of goods and services. The Air Force Sustainment Center awarded the firm-fixed-price, indefinite-delivery/indefinite-quantity contract through competitive procurement as part of the Landing Gear Remanufacture 3 program. The service branch will obligate $113, 478 from fiscal 2016 working capital funds at the time of award, according to DoD.